There is always some fruity fun available at Wicked Jackpots. However, what turns the table is this tantalising slot game created by NetEnt. 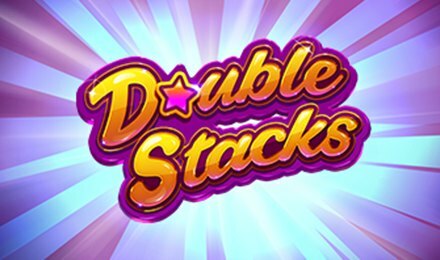 Yes, the pioneer of online slot and casino games arrives once again with one fresh slot game, Double Stacks Slot. Five reels are gorgeously assembled with loads of fruit symbols and features. You can play this fruit slot anytime and anywhere. Thanks to its compatibility with Mobile, tablet or desktop devices. If there is anything you might need for the perfect gaming escapade, then it is Double Stacks Slot! Bet Levels: 1 to 10 Bet Levels are offered on this slot game by NetEnt. To adjust the Bet Levels, you will need to click onto the plus and minus buttons under the Bet level tab. Simple as that! Amount of Paylines Selection: Well, Double Stacks Slot offers 10 pay lines. Coin Values: You can set your desired coin values under the Coin Value tab. Click the plus and minus buttons, as usual, to select the various values. You have a minimum of 0.01 up to a maximum of 2.00. Suit yourself to adjust the bets at any time… except during Features. The Wild Logo stands for the Wild Symbol of Double Stacks Slot. It has one special ability! It can act as a substitution for any other symbols of the game bar the Scatter symbol. As such, you might expect new winning combinations! Awesome, isn’t it? The Scatter Logo… is the Scatter Symbol. It’s primordial usage? In triggering the Free Spins Feature. Obtain a minimum of 3 Scatters to activate the Free Spins Feature. You will be granted free spins based on the number of Scatters you’ve used to activate the feature. Plus, any additional combination awards Extra Free Spins. Here is a more detailed view! 2 Scatters: 3 Extra Free Spins – Awarded when the feature is already triggered. 5 Scatters: 30 Free Spins – 30 Extra Free Spins. Double Stacks Slot offers Stacked Symbols as well. There are only four symbols that can be stacked and they are displayed at the top of the screen. If you obtain a reel full of the same symbols, all symbols will count as two symbols when allocating the wins. As such, you can obtain better rewards.